Elevator access is available to all floors of the coliseum. Elevator access is NOT available to the balcony of the auditorium; however, accessible seats are provided on the main floor. Guests with disabilities who require any show-related publications in an alternative format, such as braille, large print or on disk, should contact the box office a minimum of two weeks prior to the show date. Tickets must be purchased at this time in order to process the request for alternative format materials. Please see the deaf/hard of hearing accommodations section below for additional information. Handicap-accessible parking is available in three adjacent parking garages. KCAC provides accessible parking in Garages A and C, as well as the designated parking lot on the south side of Howard Baker Jr. Boulevard across from Garage B. There is no additional charge for accessible parking with a current valid license plate or hang tag displayed. KCAC provides accessible seating areas for people with disabilities. (Please see seating chart for locations.) Proof of disability is not required to purchase accessible seating. Each wheelchair-accessible space is accompanied by three (3) companion seats, and all may be purchased for the same price per seat. KCAC staff will attempt to seat the remainder of the party as close to the wheelchair/companion seats as possible based on the availability of remaining seats at the time of purchase. Coliseum: The 9 wheelchair/companion seats in the lower balcony Section B will be sold at the lowest ticket price. If seats are provided on the floor, wheelchair/companion seats on the floor will be sold at the same price as other floor tickets. 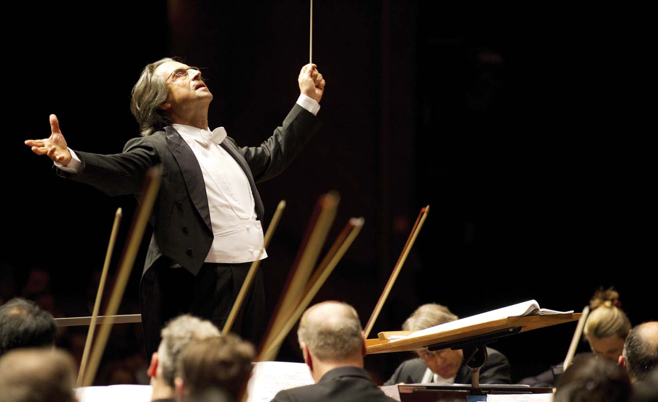 Auditorium: Eight wheelchair/companion orchestra seats will be sold at the lowest ticket price. On the day of the event, unsold wheelchair/companion seats may be released and sold to any person with or without a disability if all event seating has been sold. 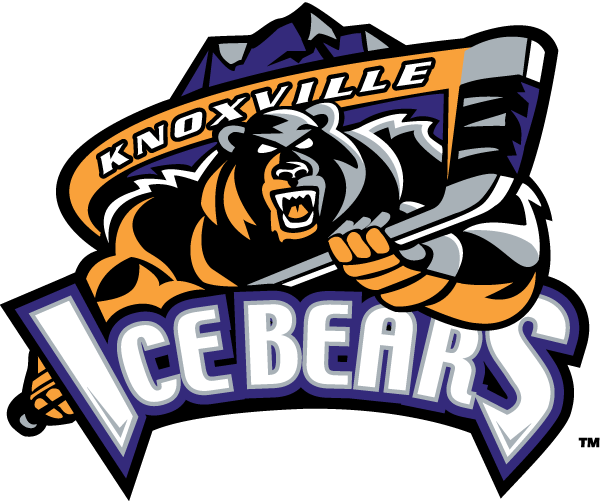 The Knoxville Civic Auditorium and Coliseum Administrative Office is open from 9 a.m. to 5 p.m., Monday through Friday, and during events to answer questions. The office telephone number is 865-215-8900. KCAC holds a license to sell alcohol. In accordance with state law, outside alcoholic beverages may not be brought into the facility for consumption. Visitors may not bring animals into KCAC. Exceptions include service animals that aid guests with disabilities. 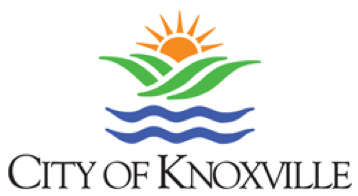 Live animals used in circuses or other live entertainment may be allowed with advance approval by KCAC and the successful application to the City of Knoxville Animal Control Board of Directors. Information and forms are on our website. Assisted hearing devices are available upon request. Inquire at the Box Office or ask any member of our guest services team for an assisted listening device. The box office located in the Coliseum is open Monday through Friday, 10 a.m. to 5 p.m. On show days, the box office opens one hour prior to start times. Individuals who are deaf and need an interpreter should call the coliseum ticket office to purchase tickets during regular business hours at least 14 business days in advance of the show date to allow all scripts, music sheets or other pertinent information to be forwarded to interpreters for the purpose of practicing the show materials. A block of seating consisting of 20 seats is reserved for patrons who are deaf/hearing-impaired. This seating is reserved until two weeks prior to the show, at which time, if no patrons have purchased these tickets or requested an interpreter, the tickets are released and sold to the general public consistent with all other seats. In the event that a show runs for more than one day, one show will be designated as the interpreted show and, if possible, the chosen date will be on the weekend. KCAC encourages promoters to advertise all shows intended to be interpreted in the same manner (i.e. newspaper and television ads) as all other shows. Doors typically open one hour prior to the scheduled event start time. Guests that are removed from the building are no longer welcome in the KCAC for that day. Any attempts at re-entry will result in arrest for trespassing. KCAC welcomes your input about our events, staff, services and facilities. You may provide us with feedback via e-mail: jcunningham@smgknoxville.com or by leaving a detailed message at 865-215-8911. A first-aid office is located in the Auditorium and Coliseum lobbies. If you or another guest needs medical attention, please alert a member of our guest services staff. They will be happy to direct you to the first-aid office for further assistance. Guests entering the KCAC must be properly attired, including shoes and a shirt. We encourage guest participation and enthusiasm; however, guests repeatedly using offensive language or being unreasonably abusive to other guests, entertainers or staff will not be tolerated. Guests who engage in disruptive or abusive behavior will be asked to leave the facility. Guests who fail to abide by KCAC policies, along with state and federal laws, are subject to ejection and/or arrest. Any guest who is violating these policies will be asked to correct the behavior; if the guest fails to do so in a timely manner, ejection or arrest will occur. Individuals who have been ejected must vacate the property or be subject to arrest on trespassing charges. Any guest appearing to be intoxicated or under the influence of alcohol or any illegal substance will not be admitted into any event at KCAC. Any guest who is deemed to be under the influence will be turned over to the Knoxville Police Department and subject to ejection from the event or arrest. The safety of its patrons and employees is the KCAC’s top priority. KCAC management retains the right to control the interruption and/or termination of any performance in the interest of public safety and/or the evacuation of the premises at its sole discretion. This action will be coordinated with client. Any type of laser pens or laser object is prohibited in the KCAC. Any such device is dangerous to fellow guests, athletes and artists. Anyone found carrying such an object is subject to confiscation of the object and repeat offensives can cause dismissal from the building. During sporting events, delays created by the use of such object can result in show delays, cancellations and penalties to the home team. All lost and found articles are logged and placed in our Box Office. We attempt to identify the owner and return items, but the facility is not liable for property left or stolen. To inquire about lost items, call 865-215-8900 during regular business hours. The following items are not permitted into the KCAC: bottles or cans; outside food; coolers; backpacks; Frisbees and beach balls; laser pointers; any noisemaking devices; fireworks; illegal drugs and outside alcohol; and weapons or any dangerous devices of any type. All patrons, employees and entertainers will be subject to a search of personal belongings. Anyone that refuses to turn over unauthorized items or refuses to be searched will not be allowed access into the KCAC. The Box Office is open Monday through Friday, 10 a.m. to 5 p.m., to purchase individual event tickets. Tickets also can be purchased at any of the Knoxville Tickets Outlets, or by calling the Knoxville Tickets Phone Center at 865-656-4444. For group ticket information, please call the KCAC Box Office directly at 865-215-8999 during business hours. The KCAC has a no re-admission policy. Once guests have entered through the main gates, they will not be allowed to exit and re-enter. All forms of smoking, to include but not limited to tobacco and electric/vapor, are not allowed in the facility. Outdoor designated smoking areas have been set up for any guest wishing to smoke. Our guest services staff can direct you to the closest designated smoking area. Ash/trash units are supplied. Patrons must refrain from throwing any objects in the stands or onto the playing surface or stage. Patrons who do not comply will be removed from the facility and are subject to arrest. Video or audio recording is not permitted except by accredited members of the media. Still cameras without flash or with the ability to turn off the flash and with lenses that are 90mm or less can be brought into most sporting and family events. Shooting areas are limited to your ticketed seat. Please note that camera policies may differ on certain events due to the requirements of a particular show. 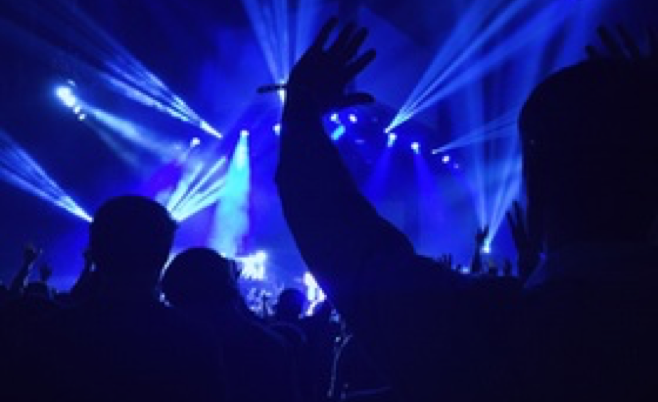 Most concerts do not allow the use of any recording devices, including cameras, audio or video recording equipment. Please abide by the posted signage with rules on photography and videography. No firearms or weapons of any kind maybe be brought into KCAC. Guests with a concealed handgun permit are not allowed to enter KCAC with a firearm. Any guest with a weapon will be instructed to return the firearm to his/her vehicle. Guests who refuse to follow this policy will be given a refund on their tickets and asked to leave the premises. As authorized by T.C.A. 39-17-1359, possession of a weapon within any portions of the facility is prohibited and is a criminal offense. On-duty working local, state and federal law enforcement officials are permitted to bring weapons. These officials must check in with facility management and the officer in charge of the event before bringing firearms/weapons into our venues.